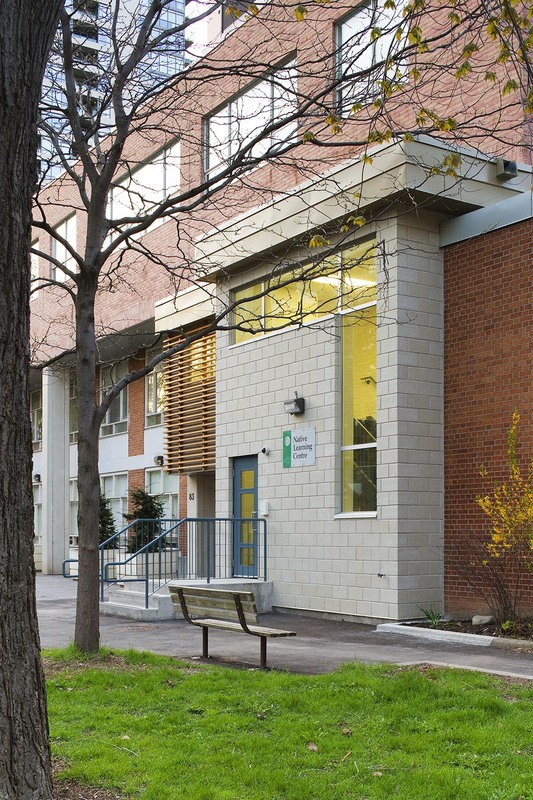 This project utilizes an entire second floor of the school to create the new Native Learning Centre. 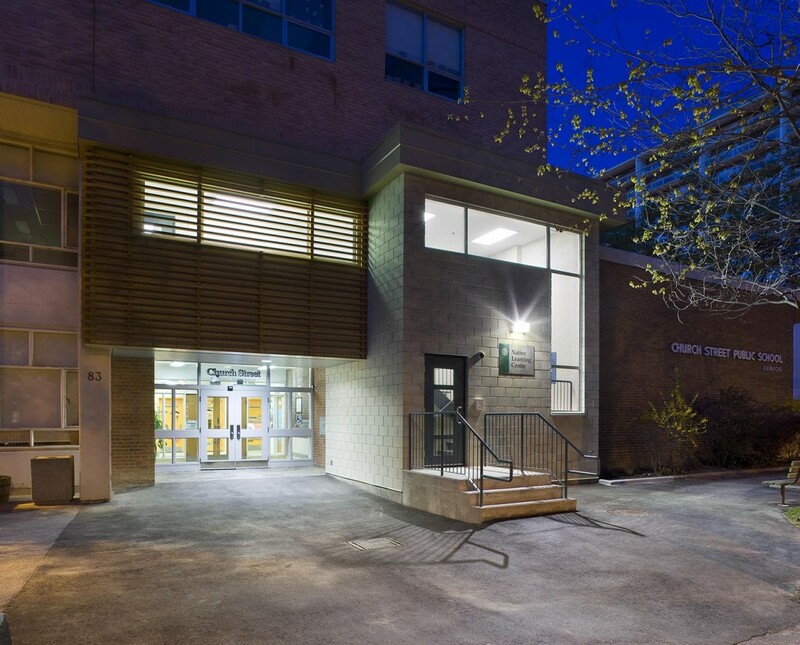 The main entrance of the building is altered and a new entrance is added to provide a direct access to the new facility and to separate the circulation of two distinctly different programs. 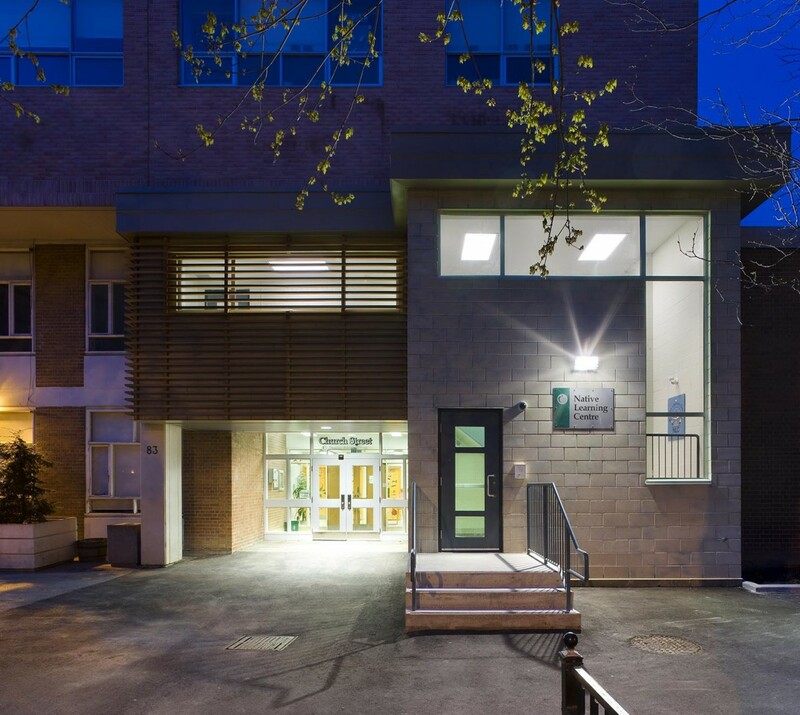 The scope includes classrooms, general office, staff room, tutorial room, meeting room with a kitchen, new washrooms and storage facilities to address the requirements of the students and staff. 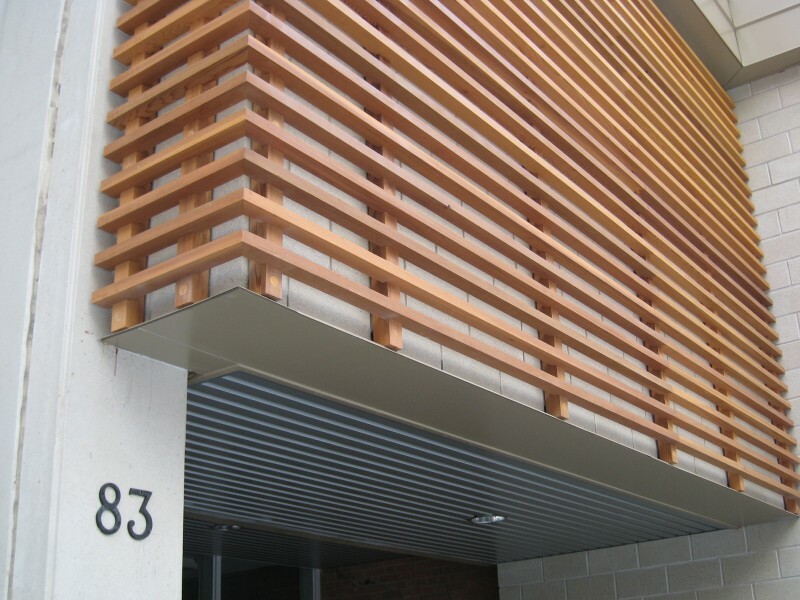 New enclosure materials including a cedar screen was selected carefully to complement the original building as well as to create a distinguished entrance for the NLC program.